Everyone loves footie – even in space! But are those flying aliens cheating? Hmm… soccerix is almost the game you know and love. But one glance at the goalie shows – not quite! 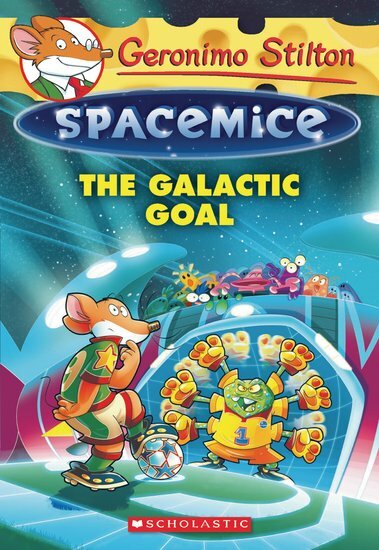 Geronimo Stiltonex, brave captain of the MouseStar 1, has a new job: space footie coach. The spacemice have been asked to play in the intergalactic soccerix championship. It’s one of the biggest sports events in space! But Geronimo doesn’t even know how to play soccerix, let alone defeat bizarre aliens. Some of the players can fly – and the goalie has six hands! Can Geronimo lead his team to victory?